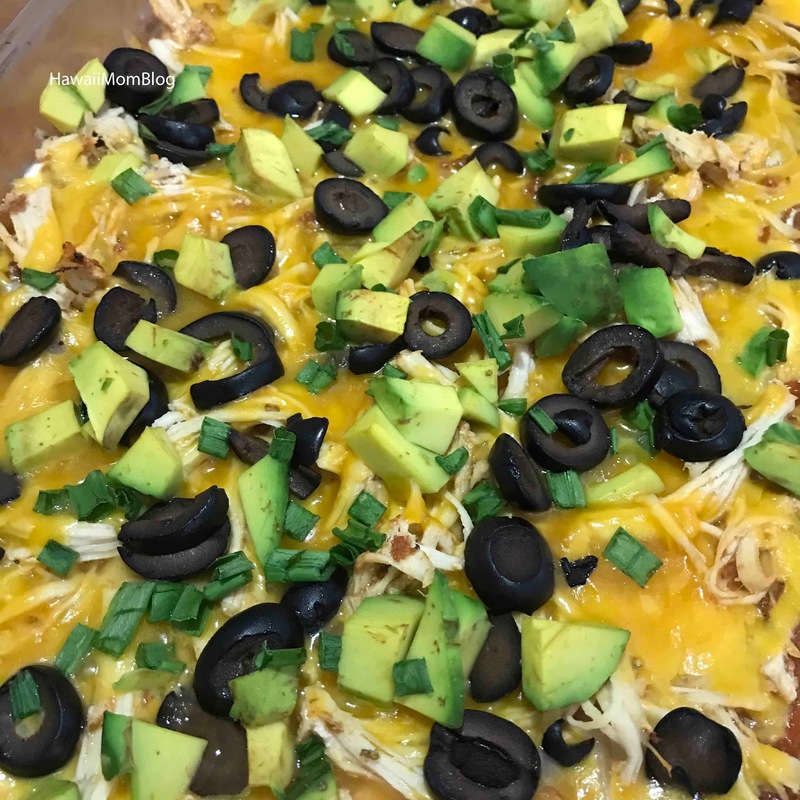 For a quick and easy party dip, make this Macho Nacho Dip! Simply take 2 cans of refried beans and spread the beans on the bottom of a 9x13 pan. Next spread 2 cups of sour cream over the beans, followed by 2 cups of salsa, 2 cups of shredded chicken, 1/2 a large onion, chopped, 2 cups of shredded cheddar cheese, 1/2 cup of sliced olives, and 1/2 cup of chopped avocado. Bake at 350 degrees Fahrenheit for 20 minutes, then garnish with sliced green onions. Serve with your favorite tortilla chips. 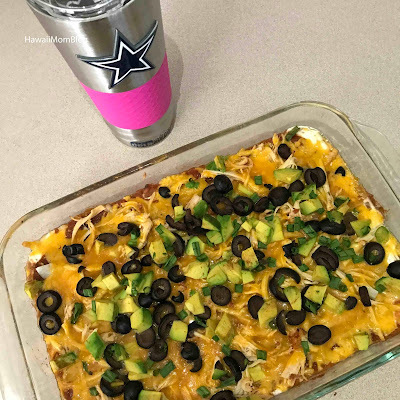 The recipe is really versatile - I've made the dip with guacamole, tomatoes, and even cream cheese and chili instead of sour cream and salsa. It's the perfect dip for game day!